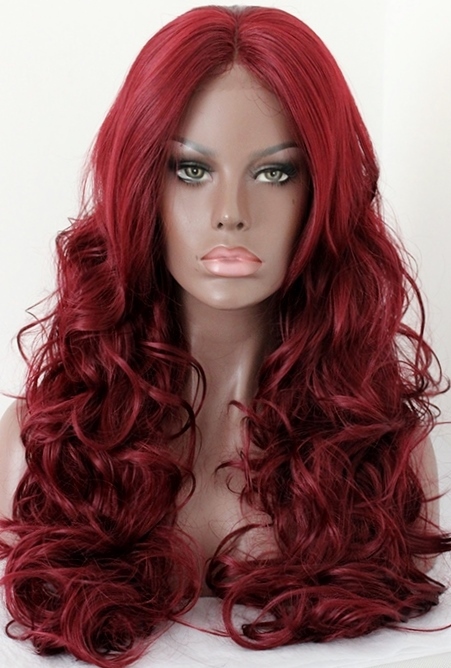 Whether ruby red or scarlet red, red lace front wigs are here to stay and can be worn by anyone. Believe it or not, red is a versatile colour. The spectrum of hues and shades means that there's a red for every skin tone - it's as we always say; tone is everything, you'll look great as long as you can find the right tone of red for your complexion. You can break up the colour by heading for the on-going trend of dark roots, whether as a dip-dye, T-colour or ombre look. If you're lighter in complexion, the darkest and lightest shades of red will work well with your skin tone and if you're aiming for subtle or super chic looks then head to ombre effects or highlights. Strawberry blondes count as being in the red family and whilst there are great dark reds, very deep or dark reds such as burgundy, can make lighter skin tones seem paler. If you're skin has yellow undertones, golden copper reds are great as are lighter auburns, but remember very dark reds that veer into purple can appear yellow. If you have a darker complexion then perhaps the brightest shades of red might be too dramatic (although they can still work with your skin tone). If a statement is what you're after then scarlet red is an obvious choice and if you're trying to go for a subtle look then the darker reds, copper hues and burgundy are great places to start, either as an all over colour or T-colour. If you're just starting out with red hair, then try colours that hint at red like auburn or copper browns. If you're unsure as to which red colours would complement your skin tone, why not check out our guide to hair colours and skin tones. The general clothing rule is that if you’re going to wear red hair then it’s better to avoid wearing matching red clothes unless it’s a costume. Silver jewellery works well with lighter or darker shades of reds. Yellow jewellery (gold or brass) works well with lighter and darker shades of red. Yellow jewellery against hair that is bright red can sometimes feel more festive (which is fine if that's your aim). Accessories such as belts can be in any colour as they're far enough away from the red hair so that they won't clash (unless of course you've opted for a 26" red lace wig, in which case, choose your belts with care). Red tends not to clash with other colours (and yes, the rhyme about "red and green must never be seen" is completely fictional - people simply say it when they don't like a mix of colours such as yellow and green or red and green or green and green!). 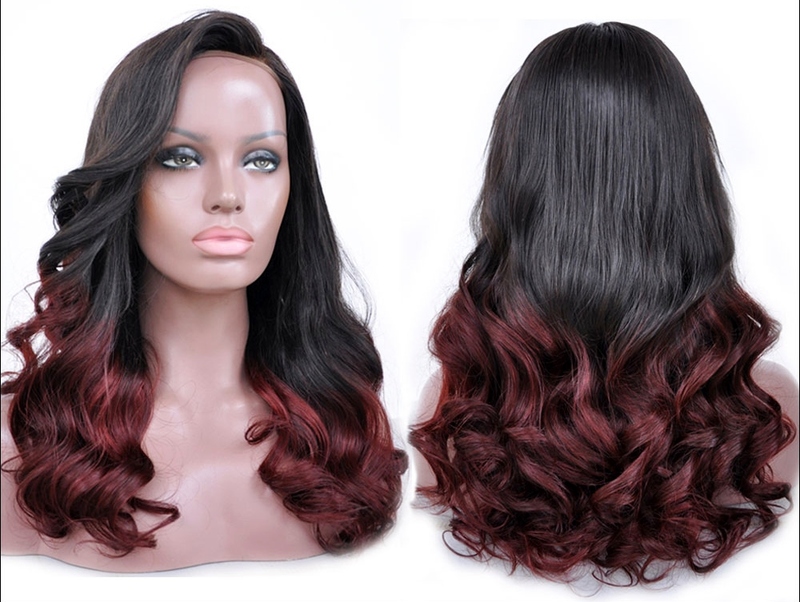 If you want to down play the colour of your red lace wig wear clothing that that matches the temperature of the red lace wig on your upper body (so if you have a burgundy red lace wig, then darker coloured tops will make your hair colour less striking). An easy rule to follow is that the more subtle the suggestion of red (like auburns and strawberry blondes) the less striking the look and the lighter and brighter the red, the more striking the look. If you're at a loss as to what length would suit you, then why not check out our wigs by face shapes guide for the lengths that suit different faces. If you're choosing a dip-dye or ombre coloured lace wig then it's best to think about where the colour change will happen, will it be at your cheeks, or chin or below as your look will be dictated by what colour hair is framing your face. If you choose a solid bright red, then shorter lengths are great, or longer lengths with dip-dye or ombre effects. If you choose a darker red then it's all about what length you feel most comfortable wearing. If you have a customised human hair red lace wig then you’ll need to deep condition with a conditioner specifically for red-coloured hair to ensure the colour doesn’t fade. Synthetic lace front wigs can be washed with a mild shampoo as normal and should they ever become frizzy, then fabric conditioner - yes that's right - will calm the frizz. All the info you need to prove that anyone can wear red hair lace front wigs as long as the colour complements skin tone. 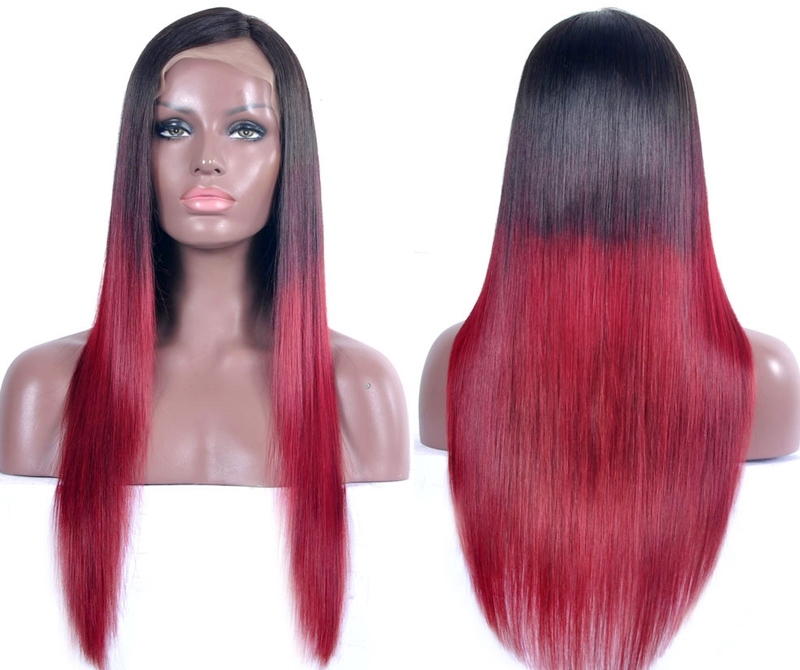 Now you can saunter down the street and your red lace wig will turn others green with envy!